I am using both the latest version of idea and the scala-plugin. I have a scala class which extends a java class. The compiler complains about not finding a method in the java-class which definitely exists. So I am wondering why do both the editor-plugin and the compiler find the parent-class but not it's methods? 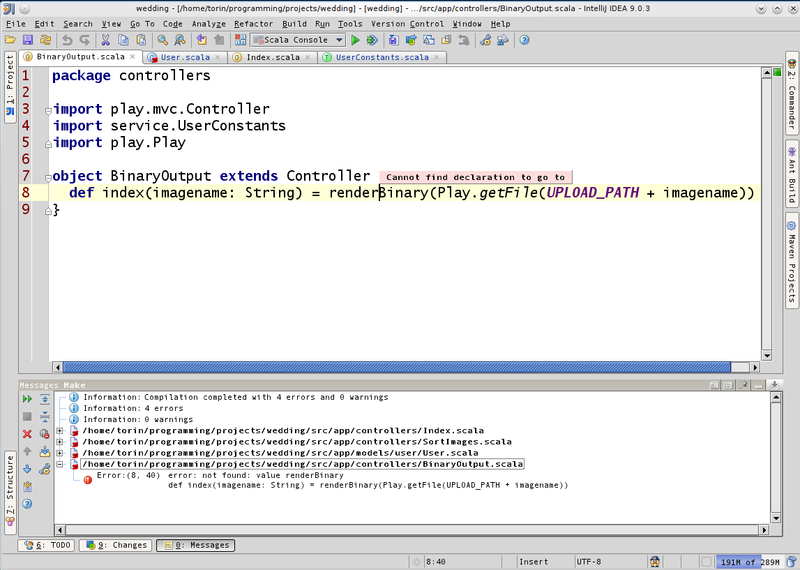 To explain your question is better to see Controller source code. I can suggest you to check that renderBinary has protected or public access.